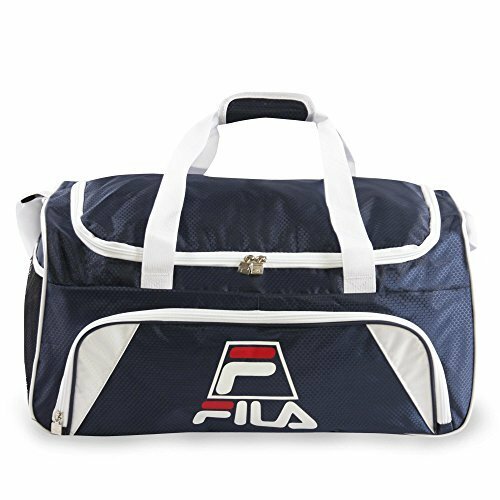 Carry your gear to the gym or to training in this medium size design sport duffel bag. Compartments provide enough room for training clothes, shoes, water bottle, and other accessories. Side mesh pocket is perfect for additional items. Includes a comfort carrying shoulder strap. 12" x 22" x 13"
One tough bag - constructed of durable polyester fabric and with reinforced stitching at all stress points, this bag is built to last. Pack it your way - no fancy bells or whistles here. Just a duffel that's just the way you want it. There are no weird pockets or complicated compartments to limit you. You can pack as much as you want and in any way to fit your needs. Hassle free maintenance - the padded bottom of the bag increases the durability and the interior polyester lining makes it a breeze to clean if it happens to get dirty. Great for all ages - we've heard stories from children to adults using this bag and loving it! the adjustable shoulder strap makes it customizable to your height and preference. Buy now so you can truly call it your own!